> Welcome to our new head office! > Over 1000 systems... a fleet over the world. > Many needs... wide range of solutions. > We always take care. Flenco Fluid System is a leading Italian company based in Avigliana (Torino), which supplies a wide range of Products & Services to the Energy, Oil & Gas, Power Generation and Petrochemical markets worldwide. Since its foundation in 1988, we have always been committed to Customer Satisfaction. 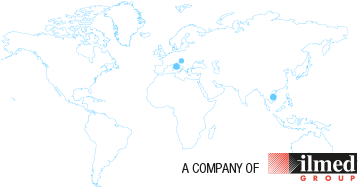 With our strategic presence in Europe and Asia, we play the role of a Global Company. With our excellent know how in every single project's development phase, we assure the definition and achievement of effective and customized solutions. We also supports Customers by offering excellent After Sales Services, mainly innovative, repair and maintenance interventions and spare parts supply. Flenco Fluid System is the preferred choice wherever the higher Safety, Quality and Performance standards are required. Contents and images included into this section have been taken from web public sources. Any part of confidential documents was disclosed. Flenco Fluid System S.r.l. commits to change or remove any improper image and information if notified.